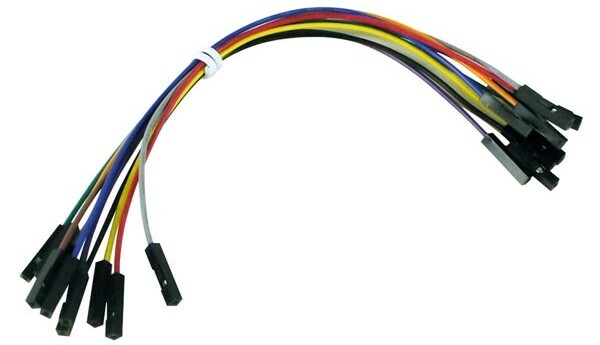 A Pack of 10 jump wires with female connectors at both ends, ideal for use with pin headers. Each pack contains 10 x 150mm jump wires (Red, White, Blue, Green. Orange, Yellow, Purple, Brown, Grey and Black).